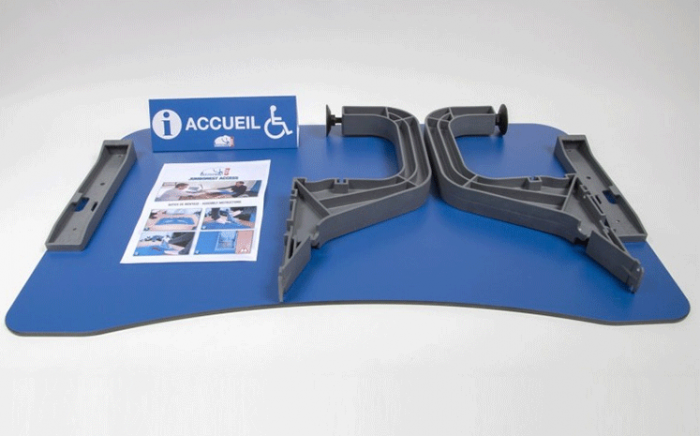 Desktop extension for wheelchair access. Removable shelf for reception desk. 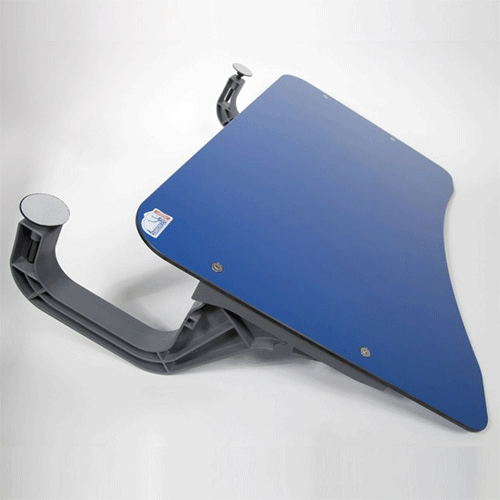 Jumborest is a range of nomadic ergonomic assistive devices, which can be installed on most offices, tables and docking stations of the ERP (Public Establishments). In the industry, it was the tool that was lacking at the seated positions of factories and workshops, for meticulous or repetitive tasks. Concept produced in France and patented, the Jumborest was developed in partnership with French occupational therapists and the Center Hospitalier Universitaire de Toulouse (France). 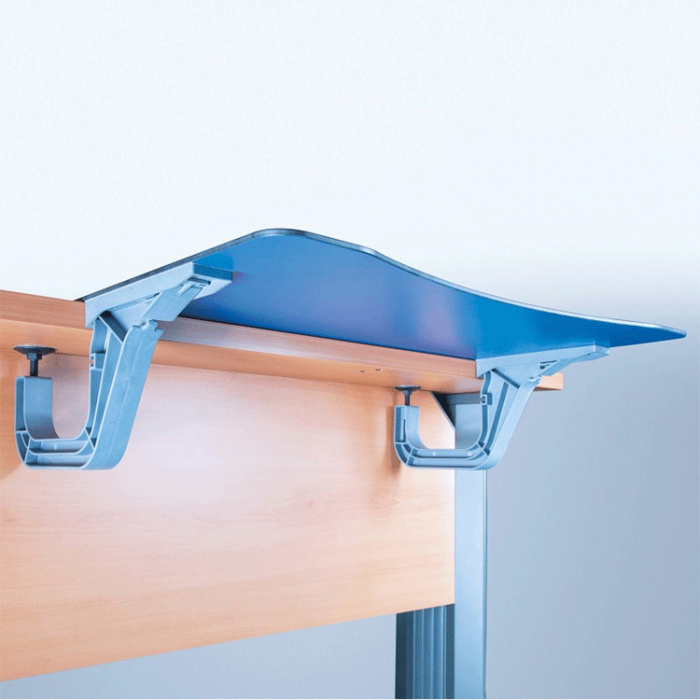 Thanks to its unique design your Jumborest will know how to assist you at home and at work throughout the day. In addition Jumborest is simple to use and intuitive. In just a few movements, it is ready for use. 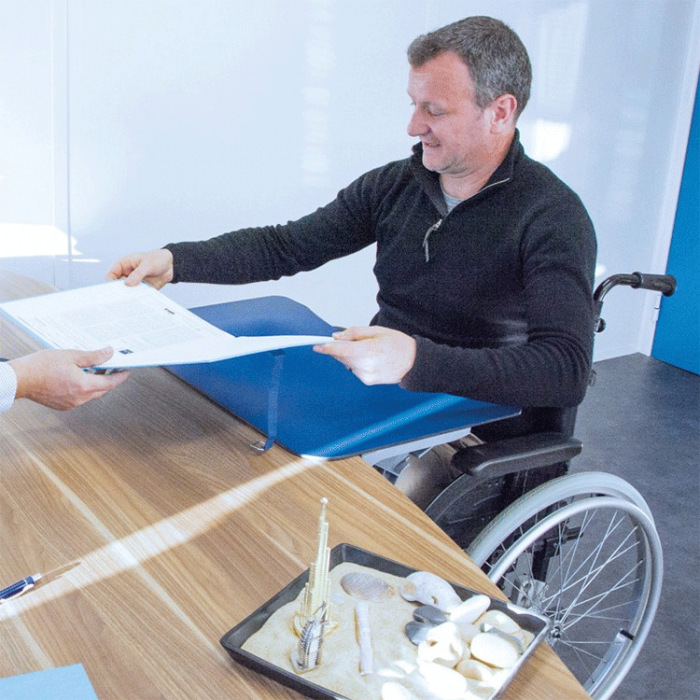 The Jumborest and his family aim to compensate for the handicap, but also to improve the accessibility of public buildings. For cases of hemiplegia, psychomotor agitation, dystonia or Parkinson's Syndrome, Jumborest will be your ally. 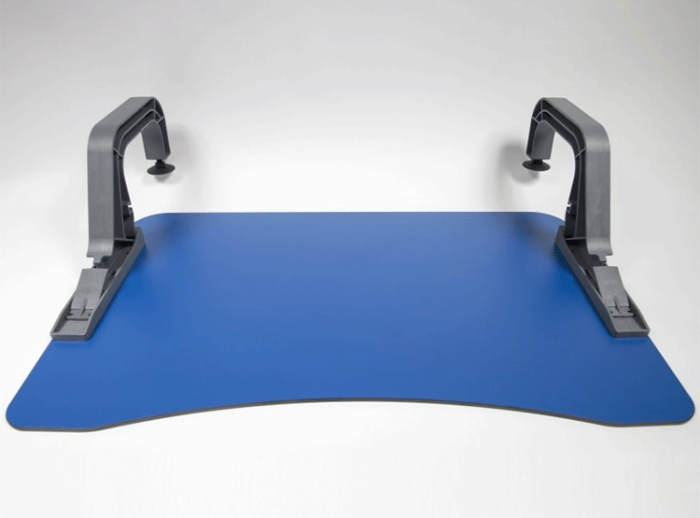 Minute over thickness: 6mm | 0.24"
Overall dimensions: 690 x 420 mm | 25.2" x 16.5"
Table dimensions: 600 x 300 mm | 23.6" x 11.8"
Adjustable arm clamp: compatible with tabletops up to 40mm | 15.6"